KLA worked with the City of Phoenix's Parks Commission and their Planning Department to master plan and create the design development drawings, construction documents, and specifications for a phased 13-acre public park in Phoenix, Oregon. The park infrastructure has been installed. 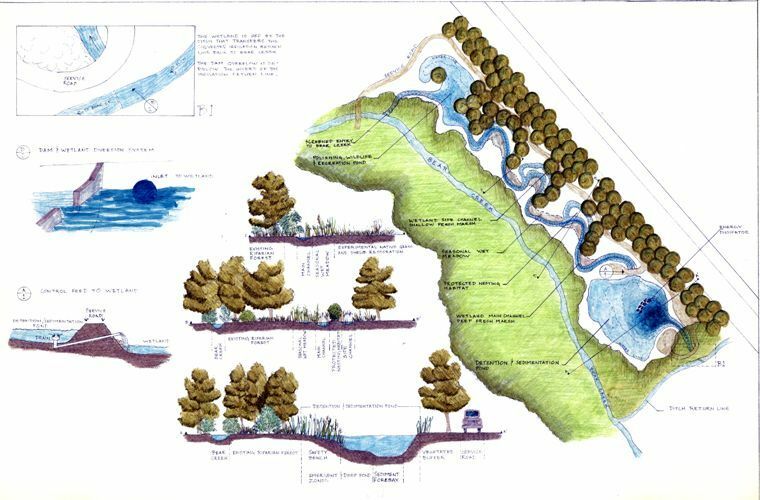 Future phases of the park incorporate the restoration of a segment of the Bear Creek Greenway, a community center, community gardens, open space, and interpretive access to Bear Creek as well as the extensive riparian zone enhancement that makes up over half of the site. The adjacency of this park to Bear Creek and the Bear Creek Greenway provided opportunities for exposure to these natural environments and the constraint needed to keep people safe from the dangers associated with the creek and the larger natural area. Phasing of the landscape plans identified thick planting at the edge of the riparian zone to help keep users in the more active part of the property. Explorers will be able to penetrate the thicket, though they are not encouraged into the riparian zone at this location.